Here's a posting for people who are still clueless about the concept of white privilege. Who think that because dark-skinned individuals succeed occasionally, America has no systemic bias for whites and against minorities. 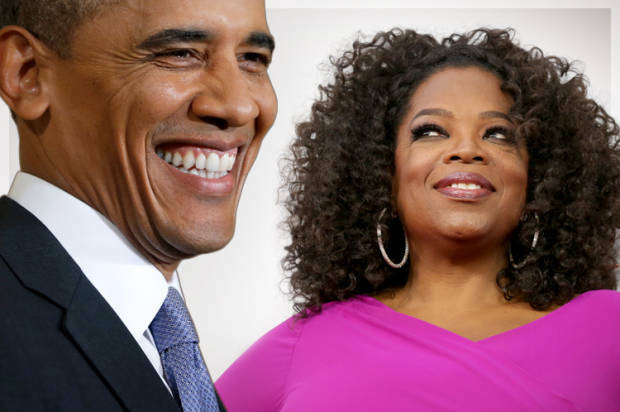 By Brittney CooperExceptional black people like Barack Obama, Oprah Winfrey and Michael Jordan do break down barriers, but they don’t signal broad systemic changes. The fact that we are only talking about two brave black sorority girls knocking down yet another door, 50 years after the first black people were allowed to become students at the university signals just how incremental the changes are. How I Called the Cops and Almost Got Shot: the Politics of Being a "Threat"
Note that I didn't include items primarily about prejudice toward women or gays. If I had included them, it would've doubled or tripled the number of items. Any questions about the ongoing racism in America despite--or because of--having a black president? For more on the subject, see White Privilege = Male Privilege and Whiteness Defines Others as Outsiders. All Oprah proves is that if you believe anything, you can make it on daytime TV in America. The key there is "if you believe anything". Critical thinking is a disability which is not covered for on-the-job discrimination in the mainstream media. And all Obama proves is that people aren't willing to vote for a hundred years of war. Also, love that Ann Coulter's role model is a meth dealer.